Former Israeli Chief Rabbi Israel Meir Lau was a guest at the Rohr Chabad Jewish Community Center in the Bulgarian capital of Sofia this week as he attended a conference of religious leaders from 20 different countries. While in Sofia, Lau and other dignitaries denounced the recent domestic terror attack in Norway and called for people to bridge ideological and political divides. 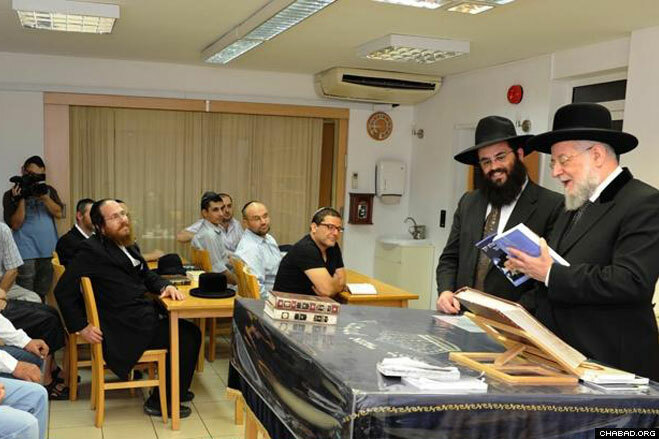 At the Jewish center, Chabad-Lubavitch Rabbi Yosef Salamon led Lau on a tour of the facility and briefed him on his staff’s efforts to strengthen Judaism in the country. 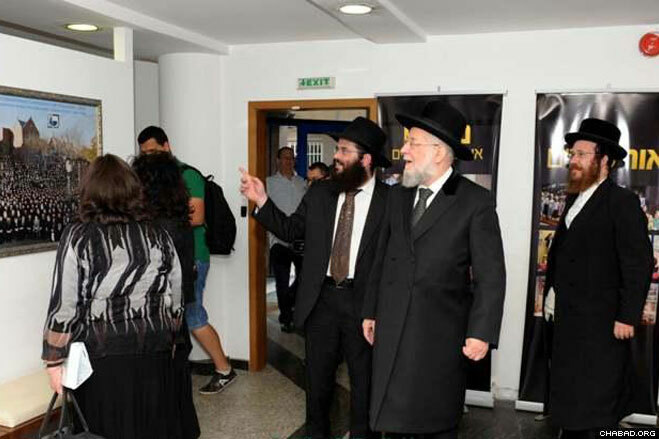 Chabad-Lubavitch Rabbi Yosef Salamon, center, leads former Israeli Chief Rabbi Israel Meir Lau on a tour of the Rohr Chabad Jewish Community Center in Sofia, Bulgaria. Former Israeli Chief Rabbi Israel Meir Lau, center right, was in the Bulgarian capital for a conference of religious leaders from 20 different countries. 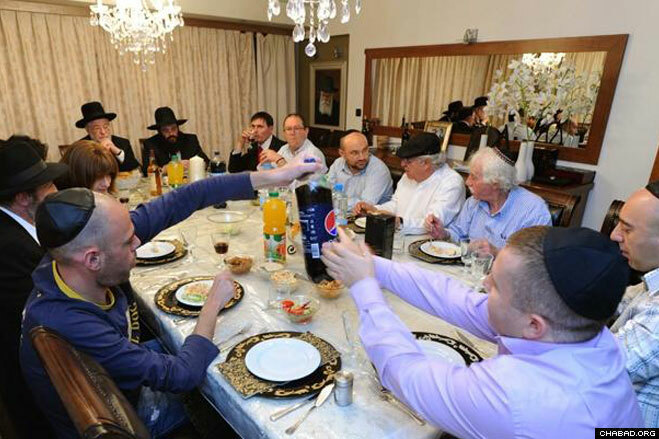 As a guest of the Rohr Chabad Jewish Community Center there, he met with Jewish residents and delivered a Torah lecture. 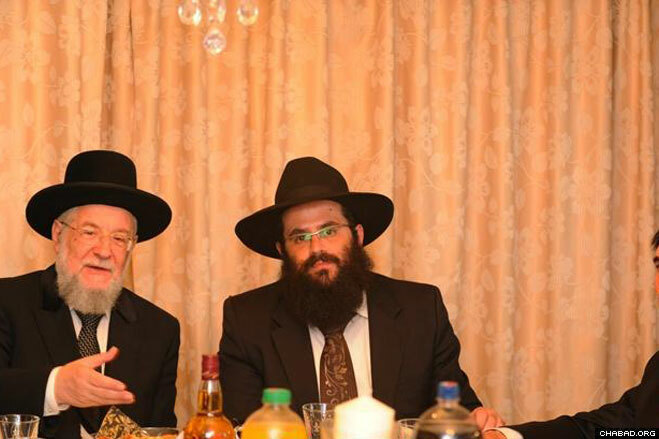 Rabbi Yosef Salamon hosted a dinner in honor of the former Israeli chief rabbi at the Sofia Chabad center. Rabbi Yosef Salamon briefed his guest on his staff’s efforts to strengthen Judaism throughout Bulgaria. 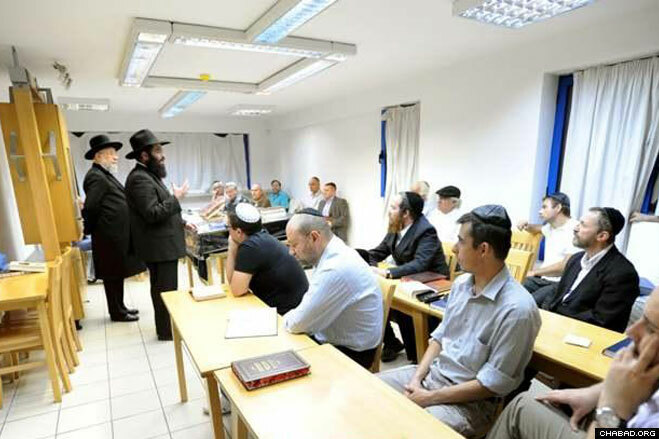 Former Israeli Chief Rabbi Israel Meir Lau leads a Torah class at the Sofia center.